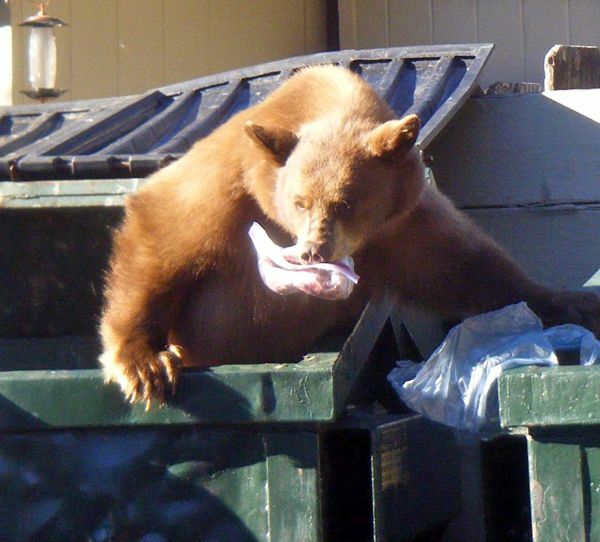 A couple of weeks ago the California Department of Fish and Game successfully relocated a 400-pound black bear found rummaging in garbage cans is an urban area of Southern California. That’s a fairly unusual occurance since DFG estimates black bear population density in chaparral habitats in Arizona and Southern California at less than 0.25 bears per square mile. But, if you haven’t visited California or lived in the state very long, you may be surprised at how common these huge, majestic animals are throughout the state. Bears forage over a territory that’s hundreds of miles in area. Ranchers report seeing the same bear at regular intervals on their land, the animal making a regular circuit as it feeds. 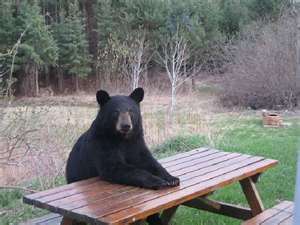 And Fish and Game wildlife experts say California’s black bear population has increased during the past 25 years. 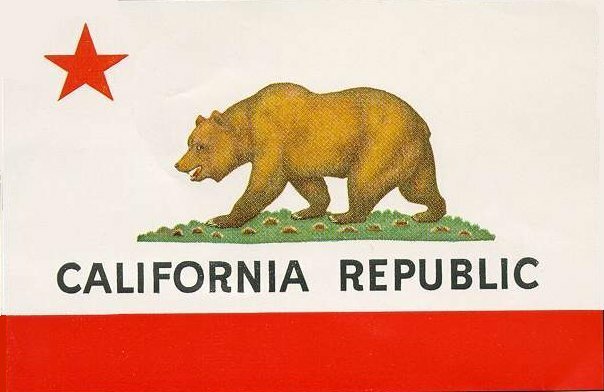 In 1982, the statewide bear population was estimated to be between 10,000 and 15,000. Now estimates put the total conservatively at more than 30,000. 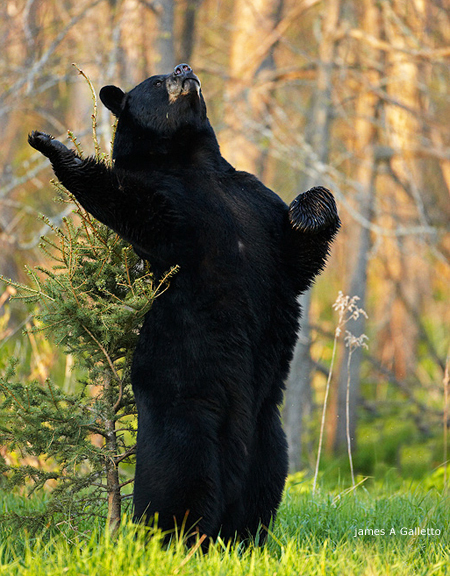 Don’t be surprised to find bears when you’re out hiking or even doing yard work in urban/rural interface areas. These photos courtesy of the California Department of Fish and Game and the National Park Service. The animal removed from the Glendale area near Los Angeles had been sighted multiple times and was cornered in a La Crescenta backyard, giving DFG officials the opportunity to safely tranquilize and remove it. It was then transported to the Angeles National Forest for release back into the wild. The bear appears to be a healthy male about three years old. DFG had been monitoring the bear in the residential area for several weeks and worked with local law enforcement and DFG biologists to balance public safety needs with the desire to safely move the bear to suitable habitat. ● Keep food indoors or in airtight and odor-free containers. ● Put away picnic leftovers; clean BBQ grills. ● Keep pet food inside. 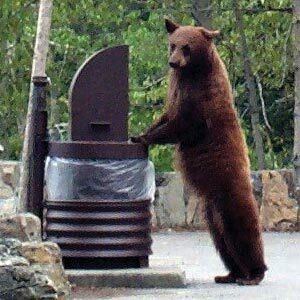 ● Install or request bear-proof trash containers. It should be added that bears have a great sense of smell and, if food or paper wrappings are left in cars, the bears have no problem using their strength and leverage to pull out vehicle windows to get at the smells or food left inside. They can really tear up a car’s interior getting at empty milk shake, fries and hamburger containers and wrappings. Yes, I know this from first-hand experience in Yosemite National Park.